The U.K. will aim to use its 3 billion-pound International Climate Fund to spur private investment instead of relying only on aid to finance low-carbon generation in Africa. Such plans will help developed nations meet a pledge to increase world climate funding to $100 billion a year from 2020, he said. Development and green charities say $100 billion is too low to help the poorest countries adapt to the ravages of climate change. Oxfam has said the pledge needs to be doubled, while WWF and Greenpeace have said much of the spending should come from states because private investment flows are too unpredictable. Campaign groups have said an emissions tax on international shipping and aviation would be a potential source of funding. Bunge Ltd.’s Climate Change Capital, an investor in greenhouse-gas credits, Parhelion Underwriting Ltd., a carbon- credit insurer, the building and engineering consultant Parsons Brinckerhoff Ltd., and Cluff Geothermal Ltd. will join Barker. “We want a more streamlined approach and more clarity from the outset,” Percy said in a phone interview. Cluff is bidding with TransCentury Ltd. (TCL), a Nairobi-based infrastructure company, for a geothermal energy contract in Kenya’s Menengai region. Kenya has capacity to provide 7,000 to 10,000 megawatts of geothermal energy, mainly in the Rift Valley, the U.K. energy department says. Tanzania could generate 650 megawatts of power from the Earth’s heat, while Ethiopia has the potential for 5,000 megawatts of geothermal energy, 10,000 megawatts of wind power and 45,000 megawatts of hydroelectricity, it says. “The Kenyan, Tanzanian and Ethiopian governments will probably be more familiar with German, Japanese and Chinese companies in these sectors, and I’m very much going out there in order to put U.K. companies on the map,” Barker said. Developed nations including the U.K. and U.S. pledged in December 2009 to help raise $100 billion a year from 2020 to finance developments that will cut carbon emissions and help poorer countries adapt to the effects of climate change. A three-year period that sought to plow $30 billion of so- called fast-start finance into climate projects will end in December, and countries at United Nations climate talks have yet to explain how they’ll ramp up aid to meet the 2020 pledge. Gentoo Group Ltd., Temporis Capital LLP, Arup Group Ltd. and Aldwych International Ltd. will also join the delegation. Delegates expect to meet officials including Tanzanian Prime Minister Mizengo Kayanza Peter Pinda, Kenyan Prime Minister Raila Odinga, and energy and finance ministers from all three nations on the intinerary, according to Barker’s department. Categories: Local | Tags: cc, climate change, geothermal, kenya, tanzania | Permalink. TONGWE, Tanzania (AlertNet) – Changing weather patterns have forced farmers in Muheza district in Tanzania to move away from growing traditional crops and switch to cassava, which is playing an increasing role in lifting communities out of poverty. With help from agricultural experts, farmers are learning to cultivate drought-resistant varieties of cassava with enough success that they can feed their family and reap economic dividends from processing and selling their crop surplus. Over the years, farmers in districts such as Muheza in Tanga, the country’s northernmost coastal region, have been dependent on seasonal rainfall to plant their food and cash crops, which include tea, maize, beans, yams and potatoes. But worsening persistent drought, which experts believe is associated with climate change, has tightened its grip in eastern parts of Tanzania since 2008, destroying the livelihoods of many poor villagers. According to the Ministry of Agriculture and Food Security, about 11 of the country’s regions have been severely affected by the drought. The 2,500 residents of Tongwe village, on the slopes of the Usambara Mountains, have not been spared by the extreme weather. In order to survive, Tongwe’s farmers have abandoned traditional crops and tried growing cassava instead, with help from researchers from Sokoine University of Agriculture (SUA). The crop has turned out to be an unexpected blessing for Tongwe’s villagers, many of whose lives have changed for the better over the past four years despite the ongoing drought. Mohamed Rajabu, a Tongwe farmer, said that cassava production had transformed his life and that of his family. Despite the drought, he now produces more than enough of the crop to meet his domestic needs. The starch and protein content of cassava is sufficient to ensure proper nutrition for Rajabu’s family throughout the year, and he can sell the surplus in the form of cassava flour. The university cassava project aims to improve and scale up cassava production in the eastern zone of Tanzania through the use of existing and improved local technologies. It is being funded by the Norwegian government as part of an agreement with SUA. Project leader Valerian Silayo said that besides facing climate pressures, farmers in the region often grow crops unsuited to the conditions of particular agro-ecological zones. To help deal with both problems, the project has introduced high-yielding disease-tolerant varieties of cassava to the farmers in Tongwe. The farmers are instructed in scientific approaches to tackle the diseases that affect the crop, and have been taught to remove and destroy infected cassava in the field by digging out and completely removing the affected plants so they do not infect others. Farmers also have gotten assistance transforming their excess cassava production into products they can sell. The United Nations Food and Agriculture Organization estimates that about 600 million people depend on cassava in Africa, Latin America and Asia. Cassava grows in tropical conditions, and is mainly cultivated by poor farmers. 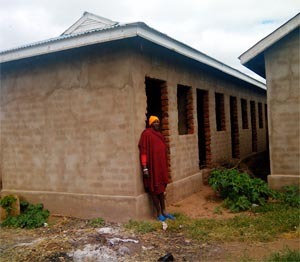 With support from SUA, the villagers have built a cassava processing centre in Tongwe, run by the farmers themselves. The centre is equipped with both manual and power-operated chippers and graters, and machines for squeezing water from grated cassava, which helps avoid post-harvest deterioration. The cassava flour is then dried before being sold. Rajabu is a leader of the Tongwe Farmers Group, whose more than 130 members share the profits from the processing centre’s sales according to the amount of production they have contributed. “We had organized ourselves to form this group, and I am pleased to say that SUA researchers have immensely assisted us to streamline this business, particularly on scientific ways to get better yields,” Rajabu said. A kilo of processed cassava flour fetches between 1,500 and 1,800 Tanzanian shillings per kilo (about $0.95 to $1.14) in Dar es Salaam and Tanga, the primary markets for the farmers group, he said. By comparison, maize flour is currently sold at between 800 and 1,000 shillings per kilo (about $0.51 to $0.63). Before he started growing cassava, Rajabu said he found it increasingly difficult to support his family as a result of poor harvests caused by low rainfall. But growing demand for the new crop now assures him an adequate income, he said. On his 10-hectare (25-acre) farm, he plants cassava in phases so that he has several harvest seasons. “The good thing about cassava is that it does not need much water when planting it, so we plant as much as we possibly can,” he said. As a result of its growing production, the Tongwe Farmers Group recently entered into an agreement with a local supermarket chain, Imalaseko, which will purchase processed cassava at market prices. The crop has improved Rajabu’s economic security to the point that he has been able to branch out into other businesses as well. 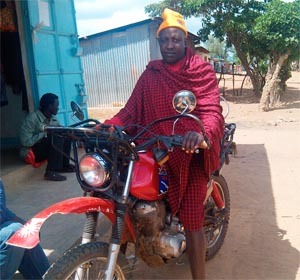 He has invested some 3 million shillings (about $1,900) of his profits from cassava sales in a shop which he now owns in Tongwe, supplying villagers with basic supplies such as soap, sugar, plastic utensils, salt and cooking oil. Kizito Makoye is a Tanzanian journalist based in Dar es Salaam. Categories: Local | Tags: cassava, cc, climate change, tanzania | Permalink. 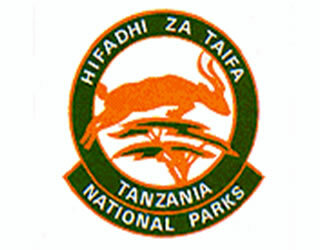 The Tanzania National Parks Authority (Tanapa) has begun building dams and drilling boreholes in its parks countrywide in an effort to provide additional drinking water sources for wild animals. The decision was reached by the Tanapa management in response to climatic changes that have resulted from scarcity of rains, leading to long dry spells that cause wildlife to lack drinking water. Tanapa public relations manager Pascal Shelutete made the revelation yesterday before journalists who toured Mkomazi National Park to witness construction of some dams being built there. He said the issue of clime climate was a global concern and that measures taken by the authority were meant to enable wild animals have access to drinking water within the shortest possible distance. He said already some wild animals have started dying due to lack of drinking water, while some invade people’s residential areas in search for the life-giving liquid. “Earlier, the policy did not allow introduction of any terrain within the parks, but now we are forced to build dams and drill wells due to climatic change…we want to prevent wild animals from going into people’s homes,” stressed Shelutete. For her part, Mkomazi National Park conservator Beatrice Ntambi said a large section of the park has been badly hit by dry spells, and that already six dams spaced out at a distance of 14 kilometres form each other have been built, whereby four of them currently produces water. 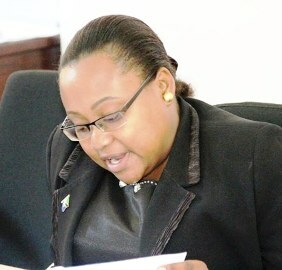 She said plans were underway to widen the dams to meet the demand, whereby some wind-driven water pumps would be installed at boreholes to help supply the dams with water. Mkomazi park chief warden Dominick Tarimo said in an effort to combat poaching, warders have been conducting road and air patrols to monitoring movements of wild animals and providing them with protection. Categories: Local | Tags: cc, climate change, natural resources, tanapa, tanzania, wildlife | Permalink.